Since I have made a collage of some of my favorite photos the last several years, I decided I would continue the tradition. I really can't believe that this is the my 4th New Year's post on this blog. My other New Year's Post are linked below. Overall 2011 was a really great year. Miller started playing baseball. I ran (and walked) the half marathon despite my pesky hip injury. We took a family trip to Louisville for Spring Break. We visited family in Minnesota this summer. Miller started kindergarten, so both kids are in school this year. Wahoo!! Harper started Taekwondo. We went camping and made a trip to Atlanta to celebrate my niece's birthday. We started a major kitchen remodel and much, much more. I really could not ask for more to be packed into one year. I do have some things that I would like to accomplish in 2012. I want to get back into running. I really want to run the half marathon again this year, but train for it properly. I haven't signed up yet because I want to make sure my hip isn't going to flare up again. So we will see. Last year was a very busy year and I am sure 2012 is going to be the same. I need to figure out a better way to get healthy, quick dinners on the table when we are running in all different directions. I think meal planning is key for this to actually happen. I sure hope our kitchen remodel is finished this year along with refinishing the floors and drywalling the living room. I know we have a long way to go, but hopefully we can get it all done this year. Happy New year. 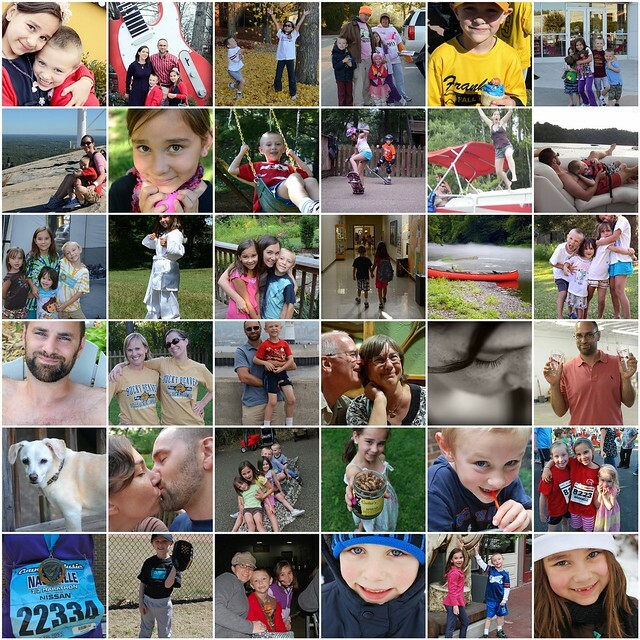 Love your 'year in pictures'. How did you do it? I'm with you...meal planning is a challenge and I think it would make dinners and eating healthier easier...it's one of my 'to do list' items this year. Happy New Year....can't wait to see what you do.